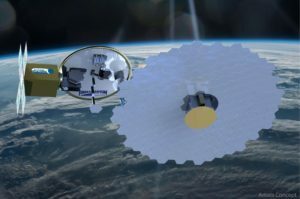 Made In Space proposes equipping small satellites with technology to manufacture in orbit a 20-meter optical boom interferometer with a modular internal optics bench the firm developed with Lowell Observatory. 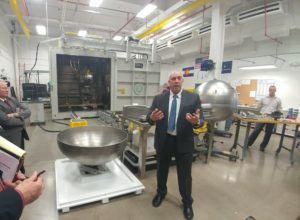 Space system engineers, who once saw additive manufacturing as a way to trim the size and weight of conventional components, are beginning to see its true potential. 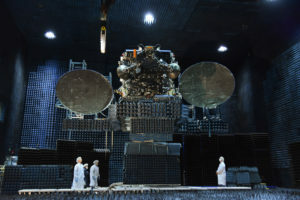 With four more of its satellites launched between July 22 and Sept. 25, Space Systems Loral now has more than 1,000 additively manufactured parts in orbit on 15 spacecraft. 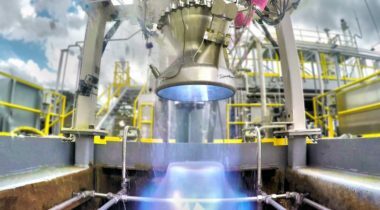 Lockheed Martin’s Additive Design and Manufacturing Center in Sunnyvale, California, where the company produces military, commercial and civil space technology, attained a comprehensive safety certification. 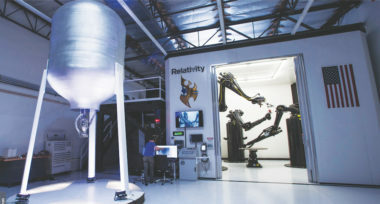 Relativity, the startup company developing small launch vehicles using additive manufacturing technologies, announced March 21 an agreement with NASA’s Stennis Space Center to take over one of its test stands. 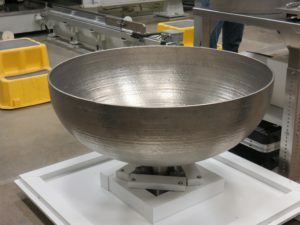 Tethers Unlimited, one of three companies NASA selected Dec. 7 to build a prototype space-based 3-D printer called FabLab has grown dramatically in recent years due to interest among government and commercial customers in this type of work. 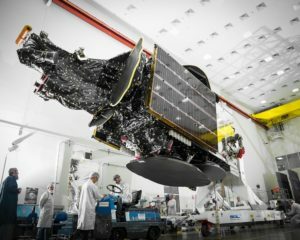 Relativity Space, a startup based in Los Angeles that only recently emerged from stealth mode, plans to use 3D printing to produce entire launch vehicles, an approach it claims can be more cost effective than traditional manufacturing techniques. The aerospace industry’s view of additive manufacturing has changed dramatically since Stephane Abed founded Poly-Shape in 2007. While additive manufacturing is changing the way spacecraft are built, more innovation will come from combining advanced manufacturing tools with new materials and design strategies. 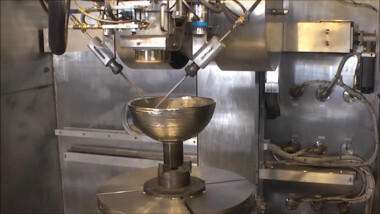 By combining additive manufacturing with advanced processing power, companies now can print the optimal design for many spacecraft parts. However, more complex designs may carry hidden costs. 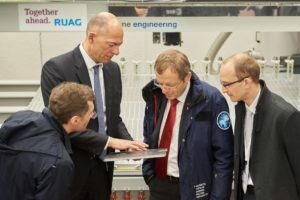 “Three to four years ago, none of my peers believed we would see additive manufacturing of safety-critical parts,” the FAA’s chief scientific and technical adviser for fatigue and damage tolerance said Oct. 19 at the Additive Aerospace conference in Los Angeles. 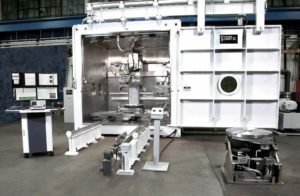 Lockheed says the technology has cut down on production time by two-thirds, while Aerojet is already testing a 3-D printed thrust chamber. 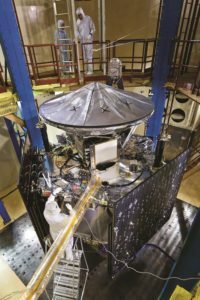 Satellite manufacturers are turning increasingly to additive manufacturing to reduce the cost and time required to design and build spacecraft. 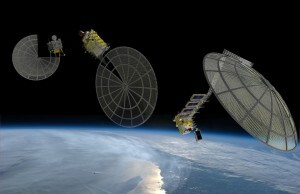 Within five years, companies could begin in-orbit manufacturing and assembly of communications satellite reflectors or other large structures, according to Made in Space, the Silicon Valley startup that sent the first 3D printer to the International Space Station in 2014. 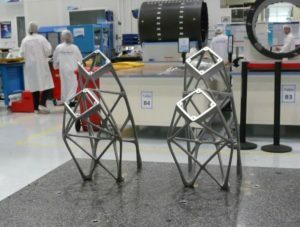 Lockheed Martin Space Systems could eventually replace satellite propellant tanks now built by longtime partner Orbital ATK with 3-D-printed tanks Lockheed would build in-house. 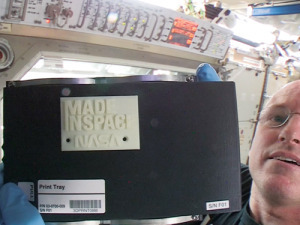 The international space station’s 3-D printer has produced its first part, ushering in what proponents hope will be a new age of off-Earth manufacturing.